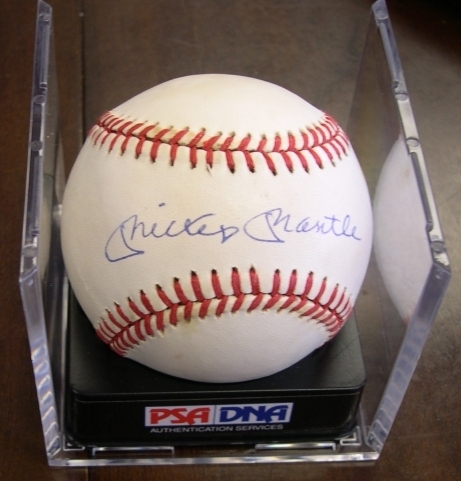 We just got our first authenticated Mickey Mantle autographed ball back from PSA/DNA today and it is definitely one of the best looking autographed balls that we have in stock right now. 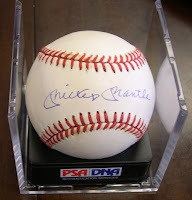 It came in a collection several months ago and the seller told us that he had attended a Mickey Mantle signing in North Carolina in the 1980's, where he had a chance to meet Mickey and get him to sign several different cards, including a 1953 Bowman #59 Mickey Mantle, and one baseball. 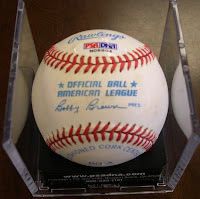 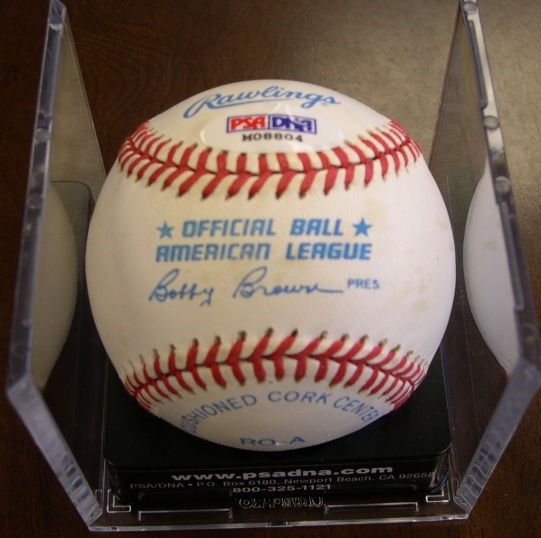 This is definitely one of our favorite pieces of memorabilia and we hope that the quality of the ball and signature are adequately reflected in the pictures.